What is taught in school can manifest differently in the workplace. For this reason, schools tap companies to help students test themselves in a corporate setting. In September 2018, Drink opened its doors to select K-12 students from Kapitolyo High School for a 10-day immersion, with projects and activities related to the academic tracks of Accountancy Business Management (ABM) and Humanities and Social Sciences (HUMSS). Kapitolyo High School student Jerevi P. Lonon addresses the lack of books in the school library. ABM students Kianna Marie Llanto, Shenen Rose B. Peraro, Hazel B. Tuyor, and Danica D. Dungca needed to practice their particular set of skills to complete the administrative work assigned to them. They accomplished the asks of office filing, cash count review, and inventory of supplies. The four students were also entrusted to create a database of Drink’s clients since the company’s inception in 2010. HUMMS students Raymond Johnson V. Romanda and Jerevi P. Lonon needed to propose a solution to a real-world problem. 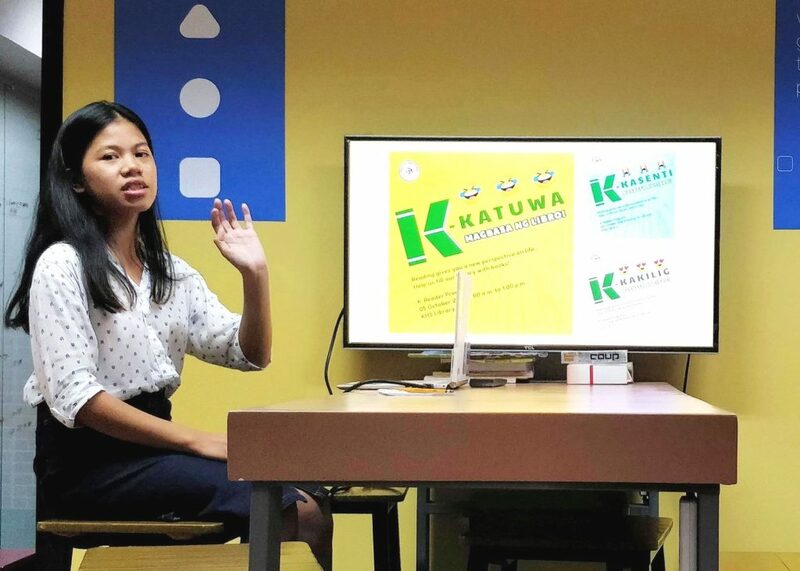 Their tasks were to pinpoint a specific problem at Kapitolyo High, conduct research, and present a plan of action that could be rolled out via a communications campaign. Jerevi chose to address the lack of books in the school library, whereas Raymond tackled teacher’s attrition. Team ABM honed their skills and built on their strengths under the watchful eye of their mentors. They learned fast, and delivered results efficiently and consistently. Similarly, Team HUMMS built presentations that, with their mentors’ help, improved within the short time span. They met the challenge not just of theoretical problem-solving, but also communicating an advocacy. In particular, they learned that a compelling presentation helps keep the audience interested and engaged. As a result, Drink employees, particularly the students’ mentors, were pleased with the students’ output. Grace M. Villarba, Administrative Head, noted that the ABM students, rather than being passive performers, were inquisitive regarding the work assigned to them. Louie B. Cartagena and Denise A. Ramallosa, Senior Art Director and Junior Art Director, respectively, also appreciated how the HUMSS students were able to capture and incorporate their suggestions in the final proposals, which were judged to be good enough for actual implementation. Overall, the students were eager to learn, focused, and participative. Though shy at first, they became adept at collaboration. Ideas were discussed between the students, the mentors, and in the case of Team HUMSS, with a panel of reviewers as well. Students and mentors alike were able to learn from the experience. Drink opened its doors to select K-12 students from Kapitolyo High School for a 10-day immersion. The school management and students hope to schedule another immersion. 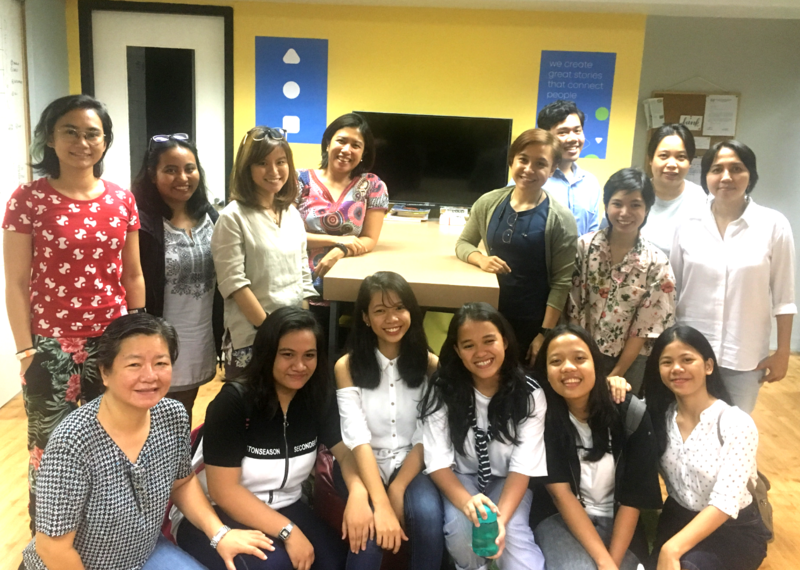 Drink is open to the idea, particularly as the 10-day immersion activity brought out the best of Drink’s corporate values: Learning with each other, Creating solutions that matter, Empowering people, and Exceeding expectations. Drink aims to develop a more systematic approach to the corporate immersion program so that students and trainees are able to learn from the Drink culture and bring the Drink values to their academic, professional, and even personal lives.